Recent studies indicate that broadband connectivity is a crucial determining factor for potential tenants. In fact, buildings that provide and market this connectivity can command premium rates for their spaces and advanced connectivity may be the difference in attracting and retaining sought-after tenants. With the recent selection of Virginia and New York for Amazon’s “HQ2”, a barrage of new interest and competition in the surrounding areas is anticipated. 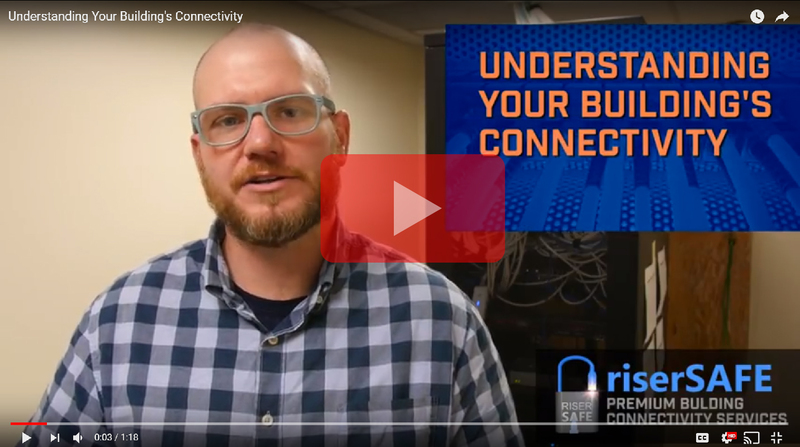 Meeting the connectivity requirements is not localized to only these areas, but is a trend growing nationally. Successfully marketing your building may be the key to not only increasing your tenancy rates, but may also assist with securing longer-term leases. “The dynamic of supply and demand is astounding,” says Scott Stewart, vice president of real estate for Cogent Communications in Washington, D.C. “Not only are smart buildings experiencing high occupancy rates, but rental rates range between 10 percent and 20 percent more than traditional buildings” he said in an article published by CIRE Magazine. When potential tenants are considering space in a building, how can you quantify the connectivity? Thoroughly documenting your building’s telecommunications infrastructure is the first step to maximizing your building’s potential. In addition, keeping the documentation current is critical for its effectiveness. This documentation may facilitate faster maintenance and remediation, in addition to providing actionable data for future upgrades. Your staff may be able to fully document your building’s telecommunications infrastructure, although their plates are probably already overloaded. You may want to consider working with a company who has experience with in-depth assessments; in fact this “outsider view” may lend credibility to your assessment results. Up-to-date documentation may seal the deal for your building, as it demonstrates your ongoing commitment to providing superior services and anticipating tomorrow’s needs. To maximize your building’s competitive edge, don’t forget to highlight your building’s service offerings, including any in-house resources. If your building has available capacity through existing wiring, your new tenants can experience a faster, smoother onboarding. If your building is serviced by multiple carriers, your tenants may be able to negotiate more favorable rates. This may protect your tenants from the internet provider having a monopoly mentality for service and restoration, in addition to pricing concerns. Redundancy of services is a critical factor for most tech-savvy companies. Additionally, your building may have an ongoing agreement with an outside management company for routine and emergency maintenance. These riser management companies may also offer complementary consultation services for your tenants, which may reduce demands placed on your engineering and management team, and demonstrates a commitment to superior service for your tenants. We hope the information provided will give you the insight you need to spotlight your buildings for even the most tech-driven tenants. Ensure your buildings are providing your tenants with the most reliable services available today. 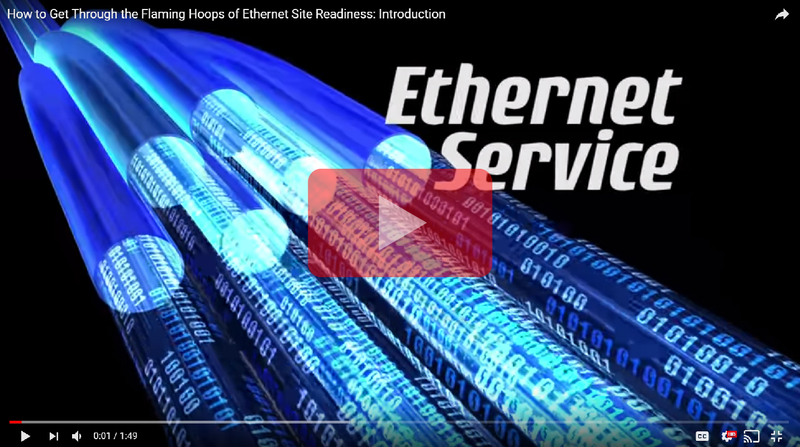 Avoid getting burned meeting Ethernet Service Provider Requirements from new carriers. 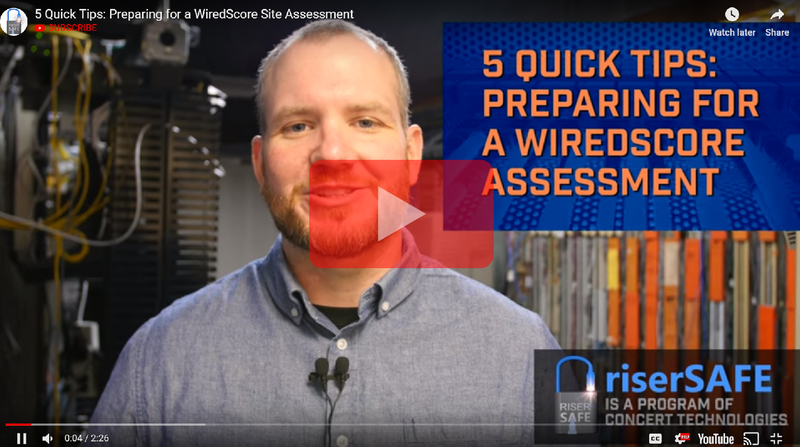 Ensure you have the best chance of securing Platinum, Gold or Silver WiredScore ratings.